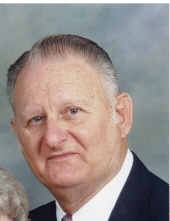 Celebrating the life of William E. Trivett, SR.
Obituary for William E. Trivett, SR.
William E. Trivett, Sr., 89, of Powhatan, passed into the loving arms of the Lord February 6, 2019. He was preceded in death by his wife of 67 years, Clara Alley Trivett. He is survived by five children, Susan Clegg, William Trivett, Jr., John Trivett (Janet), Shirley Scott (Brad), Teresa Myers (Petie); one sister, Margaret Moore; nineteen grandchildren, nineteen great grandchildren, many nieces and nephews. Bill was a retired Richmond City Firefighter and a deacon at Mt. Moriah Baptist Church. He enjoyed composing, singing and playing the guitar. He will be missed and often remembered. The family will receive friends Friday from 6 to 8 p.m. in the Bennett & Barden Funeral Home, 3215 Anderson Hwy. (Rt.60) Powhatan. Funeral services will be held Saturday at 11 a.m. in the Mt. Moriah Baptist Church, Powhatan. Interment church cemetery. In lieu of flowers contributions may be made to Mt. Moriah Baptist Church, 5780 Mount Moriah Rd. Powhatan, Va. 23139. To send flowers or a remembrance gift to the family of William E. Trivett, SR., please visit our Tribute Store. 5780 Mount Moriah Rd. Powhatan 23139 Va.
"Email Address" would like to share the life celebration of William E. Trivett, SR.. Click on the "link" to go to share a favorite memory or leave a condolence message for the family.